Tagore said she enjoyed working with the late veteran more than with any other co-stars and his death has still not sunk in. How did Shashi Kapoor get his name? 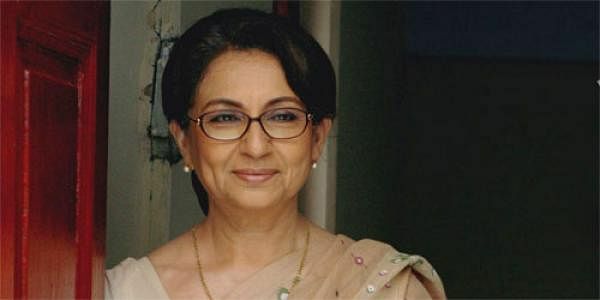 MUMBAI: "His death has still not sunk in," says Sharmila Tagore on the demise of her "Aa Gale Lag Jaa" and "My Love" co-star Shashi Kapoor, whom she describes as the "most handsome man" she had ever seen. "I don't think I enjoyed working with any co-star as much as I did with Shashi Kapoor... His death has still not sunk in. Even as I've been busy with various things during the past few days, my mind has been going back to all the wonderful times I shared with Shashi," Sharmila said. The actress recounted her special bond with Shashi, who died on Monday. He was 79. "While I shared only a professional rapport with my other co-stars, with Shashi I also socialized. We did meet over dinner and drinks. And it was always a pleasure to meet Shashi and his really wonderful wife Jennifer. "They complemented each other perfectly. Seeing Shashi and Jennifer together was so gratifying. I don't think Shashi ever got over her death. It broke him and turned him reckless about his life. He became suicidal. It was sad to see him let himself go... I still remember how handsome he was. My God! He was the most handsome man I had seen." Her first meeting with Shashi was when he visited the location of her first Hindi film "Kashmir Ki Kali". "We were shooting the song 'Isharon isharon mein' with Shashi's brother Shammi. I couldn't concentrate on my romantic poses with Shammi. "The director Shakti Samanta had to ask Shashi to leave. The funny thing was, before I could confess I was a fan, Shashi started telling me he was a fan of my work, having seen me in Satyajit Ray's 'Apur Sansar'. That charm completely won women over," she said. Sharmila said she counted Shashi among her close friends. "We got a lot of opportunity to work and spend time together as most of our films were shot outside Mumbai over a lengthy period of time. I remember we were all together for 'My Love' in Nairobi. Likewise, my other films with Shashi which were shot in places as far-flung as Rajasthan and Canada. "I remember we were shooting 'Paap Aur Punya' in Rajasthan. Shashi's children and my son Saif were all there. Saif, who was very small, became very fond of his Shashi uncle. In a sequence where Shashi was being hung by a noose by the villain, Saif, unknown to the camera and crew, toddled up to the villain and bit him for hurting his favourite Shashi uncle." She says his charms worked with the young and old alike. "We did a lot of films together, some of them like 'New Delhi Times', 'Aamne Samne' and 'Aa Gale Lag Jaa' were good, some really awful. Not too many of them worked at the box office, which is a pity, because among all my co-stars, it's Shashi I enjoyed working with the most."